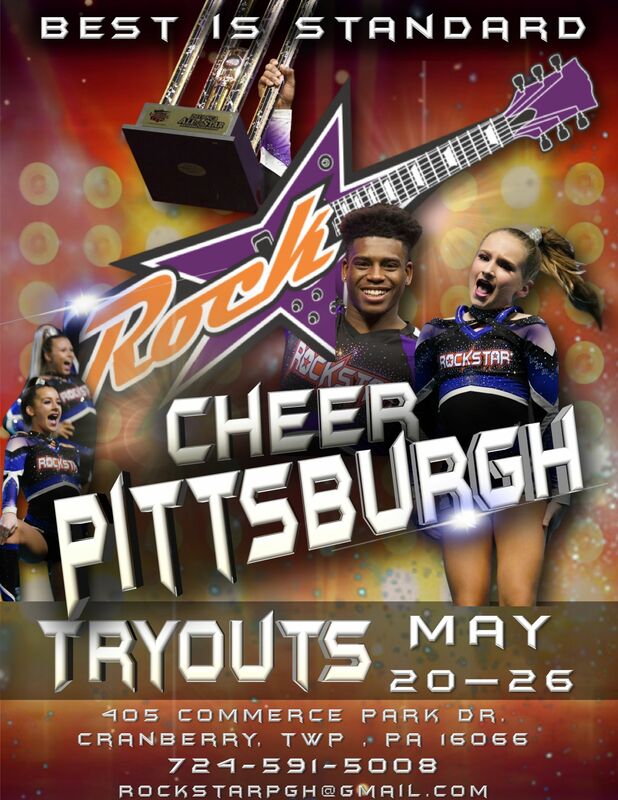 Rockstar Cheer Pittsburgh is located in Cranberry Township, Pennsylvania and offers competitive cheerleading for boys and girls ages 3-18 and tumbling classes for ALL skill levels, beginner to advanced! Visit the links under the 'Gym Info' page for more information on our programs and classes! Register for tryouts by clicking HERE! Be sure to follow us on Instagram and Facebook at @RockstarPGH and Twitter at @RockstarPITT! We are so excited to join the rockstar family! Please note: There will be an additional level 3 & 4 tumbling class added on Thursdays starting NOW! Sign up on iClass Pro or email dana@pittsburghsuperstars.com . Find additional info on our tumbling page. Join Our Tumble Brites Preschool Tumbling Program! In this program, we will be teaching basic tumbling, body awareness, coordination, and locomotor skills. We have an excited staff and fun themes and we can't wait for you to join us! Find more info on the Preschool Classes page. There is a spot for EVERYONE at Rockstar Cheer Pittsburgh! See you at the gym! Prepping for tryouts next season? Find our tumbling schedule on the tumbling page. 6:30PM - 8PM, ALL ARE WELCOME! $10 per person. If you are attending for the first time, you must bring a signed registration form. DO NOT mail to the gym address!